Sustainable Saint John, in partnership with the Andrews Initiative and the UNB Urban and Community Studies Institute, presents Green Means Go! Jobs, Skills, and Resilience in a 21st Century Economy, a lecture on sustainable economic development delivered by national thought-leader Dr. Sarah L. White. The public lecture and discussion period will take place on Thursday, May 9 at the UNB Grand Hall, 40 Charlotte Street, Saint John. Admission is free. Reception and cash bar at 5:00pm, lecture at 6:00pm, with a question and answer period to follow. Sustainable Saint John members and members of the public are invited to carry on the conversation at the Saint John Ale House immediately following the event. Dr. White brings her nationally recognised expertise and knowledge of jobs and training in the emerging green economy to the New Brunswick context. She will address the benefits of greening the economy Her lecture will specifically focus on: what policy and practice is currently supporting cities and regions across North America in building a greener future; how to add value to local economies through innovative combinations of skills development, green technology, and efficiencies in energy, waste, and water management; why "greening" an economy takes place across all sectors and is part of the key to building resilient communities; where the jobs are - and could be: challenges, opportunities, success stories. Dr. White is a Senior Associate at the Center on Wisconsin Strategy, a national policy centre at the University of Wisconsin dedicated to high-road economic development. 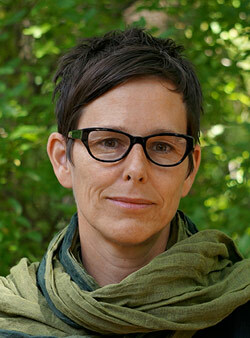 Her work focuses on the intersection of labor, education, and energy policy at local and national levels. About Sustainable Saint John: Sustainable Saint John brings together government, business, residents and community groups to build capacity and momentum for sustainability in our region. Our goal is to offer local businesses and organizations of all sizes the tools to reduce their ecological footprint. About the Andrews Initiative: The Initiative explores substantive topics of current importance intended to stretch the mind and test the intellect. Launched in 2011 and evolving, this journey of the mind will take many forms and directions. Our motto is "Engaging Ideas." For more information about the event or to arrange an interview with Dr White, contact Susan Montague, Andrews Initiative Coordinator.